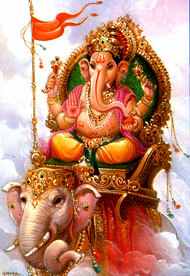 Ganesh represents water (Apas), the energy of fulfilment; he is the Master of Varuna, god of waters. This is why, when the Ganesha Chathurti festival ends, clay statues of god Ganesh must be brought to the sea and immersed to be dissolved. 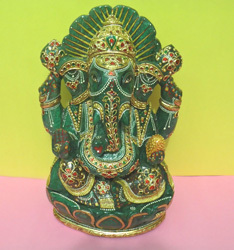 Ganesha is widely revered as the Remover of Obstacles and more generally as Lord of Beginnings and Lord of Obstacles, Vighneshvara, patron of arts and sciences, and the deva of intellect and wisdom. He is honoured at the beginning of rituals and ceremonies and invoked as Patron of Letters during writing sessions. Several texts relate mythological anecdotes associated with his birth and exploits and explain his distinct iconography.